Morocco’s African policy has had positive impact on the Sahara issue, said on Sunday King Mohammed VI, citing in this regard many countries’ positive stands and the resolutions adopted by the African Union. 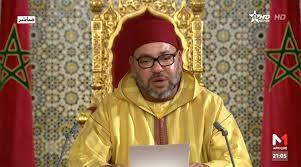 In a speech made on the occasion of the 64th anniversary of the Revolution of the King and People, (National Day marking struggle led by Late King Mohammed V and the Moroccan people against the French colonizers), the Monarch said Morocco’s African policy is based on solidarity, balanced partnerships, mutual respect and seeks the fulfilment of African peoples’ shared interests. “The focus on Africa will not affect our stances, nor will it be at the expense of our national priorities. In fact, it will bring added value to our national economy and will deepen and consolidate our relations with African nations”, stressed the Sovereign. “Our African policy has had a direct, positive impact on the question of our territorial integrity, be it with regard to states’ positions or the resolutions adopted by the African Union”, added the Monarch. “2016 was the year of resolve and intransigence, during which we matched action with words to thwart the schemes designed to impinge on our rights, 2017 has been the year of clarity and of a return to the standards and principles for the settlement of the artificial dispute over the Moroccanness of the Sahara”, underlined King Mohammed VI. He went on to say that “this firm, unambiguous policy has helped put the process back on the right track, thereby halting the plots designed to divert it into the unknown”. This was confirmed by the UN Secretary-General’s report as well as the Security Council resolution adopted last April, be it in terms of commitment to the frame of reference for a settlement, the appreciation of the autonomy proposal as a negotiating framework, or the determination of the legal and political responsibilities of the real party concerned in this regional dispute, said the Sovereign in his speech. “The proactive, composed and firm manner in which we settled the Guerguerat crisis thwarted the efforts to change the facts on the ground in our Sahara and helped put to rest the myth of the ‘liberated territories’ peddled by Morocco’s enemies”, said King Mohammed VI. In parallel with these developments, “international support for the autonomy proposal has continued, as illustrated by the growing number of states which have withdrawn their recognition of the fictional entity and by the legal settlement concerning Morocco’s economic partnership with a number of influential powers”, affirmed the Monarch. Written by: Jaber Ali on August 20, 2017.on August 21, 2017. Posted by Jaber Ali on Aug 20 2017. Filed under Headlines, World News. You can follow any responses to this entry through the RSS 2.0. Both comments and pings are currently closed.